Which leaves me without a list today...hmmm...got one! When I'm not listening to audiobooks or listening to the 90s country channel on Pandora, I'm usually catching up on some of my favorite podcasts. When I navigated my way to my podcast library I realized that I have some very weird tastes. I seem to hop between pop culture conversations, to uplifting Christian discussions, followed by morbid and gory radio theater. I mean - the stuff gets pretty gross. So I usually follow it up with another sermon or two to make myself feel better. Weird. 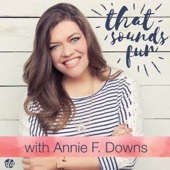 "Christian author and speaker Annie F. Downs shares with you some of her favorite things: new books, faith conversations, restaurants, travel stories, musicians not to miss, interviews with friends. Pretty much, if it sounds fun to Annie, you're gonna hear about it." 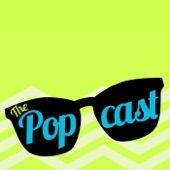 "A weekly pop culture podcast seeking to educate on things that entertain, but do not matter." 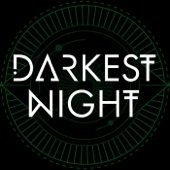 "Darkest Night is a binaural audio drama that places you, the listener, at the center of a recovered memory that sounds as though it’s happening around you in real time. Each chapter delves into the last memories of the recently deceased, slowly revealing a horrifying master plan. Who is weaving this master conspiracy, and what is their ultimate goal?" "All good stories have a twist, and all great storytellers are just a little twisted. Join Mike Rowe for a different take on the people and events that you thought you knew -- from pop-culture to politics from Hollywood to History... 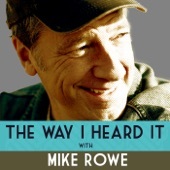 The Way I Heard It with Mike Rowe -- short mysteries for the curious mind with a short attention span." 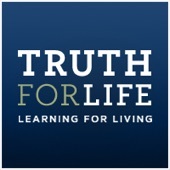 "Truth For Life is the Bible-teaching ministry of Alistair Begg. The ministry's mission is to teach the Bible with clarity and relevance so that unbelievers will be converted, believers will be established and local churches will be strengthened." 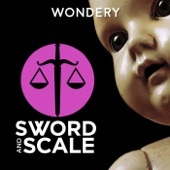 "The Sword and Scale true-crime podcast is an immersive audio experience covering the underworld of criminal activity and the demented minds that perform the most despicable and unthinkable actions, proving that the worst monsters are very real." "Every weekday, this feed brings you our latest talks in audio format. 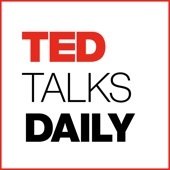 Hear thought-provoking ideas on every subject imaginable -- from Artificial Intelligence to Zoology, and everything in between -- given by the world's leading thinkers and doers." 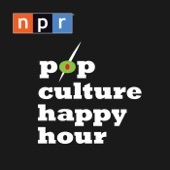 "Pop Culture Happy Hour is a lively chat about books, movies, music, television, comics and pretty much anything else that strikes a nerve, all in a weekly roundtable from NPR. Features "Monkey See" blogger Linda Holmes and an occasionally rowdy cast of characters." 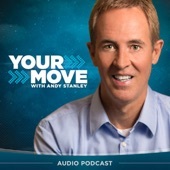 "In this weekly 30-minute message from Andy, you will discover how to make better decisions and live with fewer regrets." "The first scripted series from Gimlet Media, starring Catherine Keener, Oscar Isaac, David Schwimmer, David Cross, Amy Sedaris, Michael Cera, Mercedes Ruehl, Alia Shawkat, Chris Gethard, and Spike Jonze. 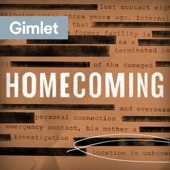 Homecoming centers on a caseworker at an experimental facility, her ambitious supervisor, and a soldier eager to rejoin civilian life — presented in an enigmatic collage of telephone calls, therapy sessions, and overheard conversations." ***And there are a few I'm trying to get into my rotation - Astonishing Legends, S-Town, Exploring My Strange Bible, Deadly Manners, and Dirty John.